Posted April 3, 2019 District Lodge 837 Comm. The National Women’s Law Center has information and resources to raise awareness about how all women experience the wage gap. 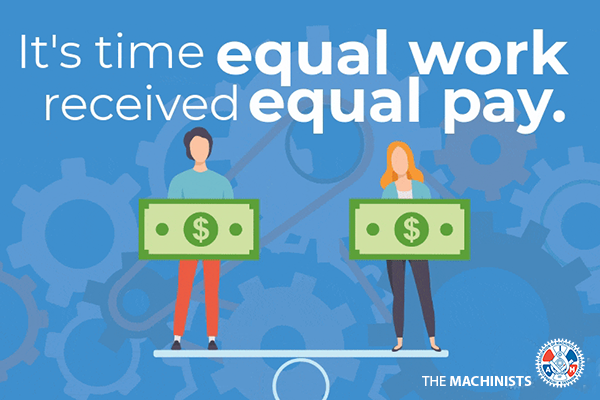 Congress can take action by passing the Paycheck Fairness Act, a bill to address loopholes in the Equal Pay Act of 1963, ensuring that employers pay women and men equally for equal work. If you believe all women deserve to be paid equally and recognized for their contribution to the national economy and to their communities, please TAKE ACTION!